To this day Legends of the Jews remains a most remarkable and comprehensive compilation of stories connected to the Hebrew Bible. It is an indispensable reference on that body of literature known as Midrash, the imaginative retelling and elaboration on Bible stories in which mythological tales about demons and magic co-exist with moralistic stories about the piety of the patriarchs. Legends is the first book to which one turns to learn about the postbiblical understanding of a biblical episode, or to discover the source for biblical legends that cannot be traced directly to the Bible. It is also the first place to find the answers to such questions as: on what day was Abraham born; what was Moses' physical appearance, or what was the name of Potiphar's wife. Launched in 1901 by The Jewish Publication Society, the original project began as a single volume of 1,000 pages but grew much larger by 1938, when the seventh volume containing the indexes was finally published. 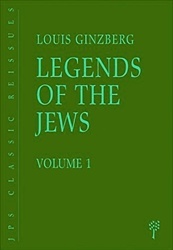 Louis Ginzberg was 28 years old when Henrietta Szold, secretary of the Society, prepared the contract for what was conceived as a small, popular volume on Jewish legends. As the scion of two distinguished rabbinical families, Ginzberg studied in the great Lithuanian yeshivot of Telz and Slobodka. Later he received his secular education at Strassburg and Heidelberg universities. This combination of religious and secular learning enabled him to pursue with great passion the wide-ranging roots of Jewish legend. 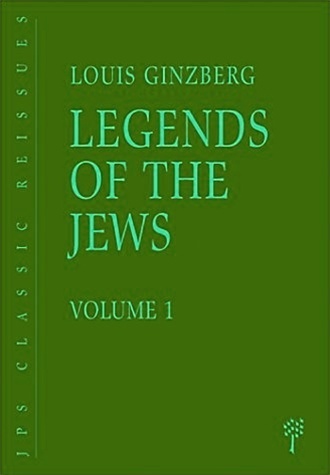 Ginzberg believed that Jewish legend was both earlier and greater than what was represented in the Talmud and midrashic collections--the primary Rabbinic sources. And so he scoured Jewish, Christian, Islamic, and Oriental sources to rediscover the fine threads of Jewish legend. The result was a masterpiece: a single, coherent collection of legends that follows the biblical narrative, accompanied by detailed notes that reveal a complex subtext of often intersecting and multi-layered levels of influence, borrowed notions, and interpretive commentaries.